The Chalet seafood restaurant in Keel Achill was established in 1963 by the Hassett family and has continued to be run by the family ever since. The original building was timber hence its name The Chalet. The present restaurant was built in 1994 and comprises two dining areas which cater for 80 plus diners. 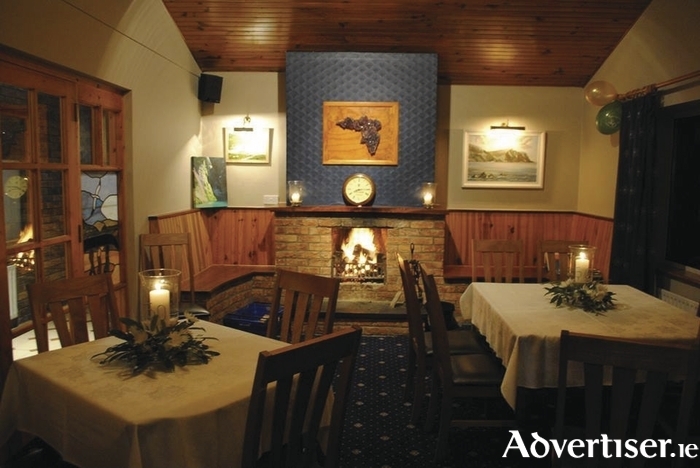 The Curragh lounge is the ideal location for a small family gathering in a private surrounding. Seafood has always been the main emphasis on their menu and this is currently endorsed by the fact that owners Gerard and Julie have a salmon smokery business as well as a fishing boat, which supplies fresh local sea produce direct to their restaurant. At The Chalet they pride themselves in serving fresh local produce, serving Achill caught crab and lobster, Clare Island organic salmon, mussels and oysters from Clew Bay, all alongside their own smoked salmon and smoked mackeral and BBQ salmon. So why not join them on the Wild Atlantic Way and enjoy local seafood, local beer, and much more. For more information call The Chalet on (087 ) 2307893 or email: [email protected].